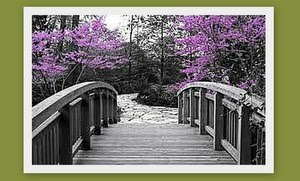 Madison Coupon Connection: New Month, New Coupons! 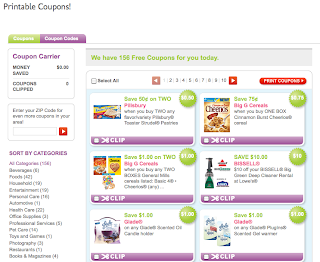 Be sure to check out the new coupons available on the "Print Coupons!" Tab at the top of the blog! There are several new coupons released (or reset) at the beginning of each month. You can usually print up to two of each coupon. If a coupon that you printed at the end of February was just "reset", you'll be able to print two more at the beginning of March! If you don't find what you're looking for on the "Print Coupons!" tab, you can also search the "Coupon Database" at the bottom of the blog. Walgreens 15%-20% OFF Friends & Family Coupon! Walgreens Trip 3/29/11 $0.51...99% OFF! FREE Freshetta By the Slice Pizza (after rebate)! More FREE KIDS MEALS at Chili's Tuesday 3/29/11! FREE Blockbuster Express Movie Rental Today Only! Hy-Vee Deals Week of 3/27/11 - 4/2/11! Copps Double Double Daze Saturday April 2nd! Yay! UPDATE: Sunday 3/27/11 Coupon Insert SNEAK PEEK! Copps Trip 3/26/11 $7.50...70% OFF! Walgreens Deals Week of 3/27/11 - 4/2/11! Menards Trip 3/25/11 (Crazy Days)...$0.00! Madison Area Mall Coupons (3/25/11)! Sunday 3/27/11 Coupon Insert SNEAK PEEK! Copps Deals Week of 3/24/11 - 3/30/11! Walgreens Trip 3/23/11 $2.56 + tax...90% OFF! More FREE Kids Meals at Chili's Tuesday 3/22! Walgreens April 2011 Coupon Book List! Hy-Vee Deals Week of 3/20/11 - 3/26/11! Walgreens Deals Week of 3/20/11 - 3/26/11! Copps Trip 3/19/11 $7.56...51% OFF! FREE Paper at Staples 3/20/11 - 3/26/11! Sunday 3/20/11 Coupon Insert SNEAK PEEK! Madison Area Mall Coupons (3/18/11)! Copps Deals Week of 3/17/11 - 3/23/11! Copps CUT BACK Coupon Book (3/17 - 3/30, 2011)! Walgreens Trip 3/15/11 $5.93...82% OFF! Target 3/15/11...What a TRIP! 85% OFF! Hy-Vee Deals Week of 3/13/11 - 3/19/11! Target Deals Week of 3/13/11 - 3/19/11! Walgreens Deals Week of 3/13/11 - 3/19/11! Sunday 3/13/11 Coupon Insert SNEAK PEEK! Madison Area Mall Coupons (3/11/11)! Copps Deals Week of 3/10/11 - 3/16/11! Target Trip 3/9/11 $3.44...85% OFF! Copps Trip 3/9/11 $1.86...85% OFF! FREE John Frieda Precision Foam Hair Color! Walgreens Trip 3/7/11 ($1.97 + tax)...90% OFF! Hy-Vee Deals Week of 3/6/11 - 3/12/11! Walgreens Deals Week of 3/6/11 - 3/12/11! Copps Trip 3/5/11 $18.93...72% OFF! Sunday 3/6/11 Coupon Insert SNEAK PEEK! Madison Area Mall Coupons (3/4/11)! Copps Deals Week of 3/3/11 - 3/9/11! Hy-Vee Trip 3/3/11...$7.32 (without coupons)! New & Upcoming Blog Changes & Additions! NEW: Monthly Grocery Tally! I Need Your Help!